As Black people in Europe, it took some time to find a language to express our experiences around social exclusion and racism. This is even more challenging as in many European countries there is a constant denial that racism exist. But when there are spaces to speak on issues of race and racism, these debates are centered around the experiences of African Americans, or dominated by the Black British experiences. Although there might be some similarities between how racism is experienced in the USA and Europe, there are also differences in how race and racism operates in different European countries. As people of African descent in Europe, we are still invisible to our national context, and even more invisible to each other in “Black Europe”. What is the experience of being Black in Germany, Austria, Italy, Sweden, Denmark, Ireland, Netherlands, Portugal, Spain, Poland etc.? Some of these countries have a colonial past, some are less known as a colonial empire or some are not known about their involvement in slavery and colonialism. What are the similarities in our experiences which identifies the structural racism that we encounter, and how can these differences give us insights in how racism operates as a system? In this article, I want to explore as a Black Dutch woman the similarities to start the conversation on what it means to be Black in different European countries, and seek the differences in our national context and its connections to European racism. What I think is important, is this question: what can our experiences in Europe tell us about the global system of racism beside the USA, UK or South Africa? 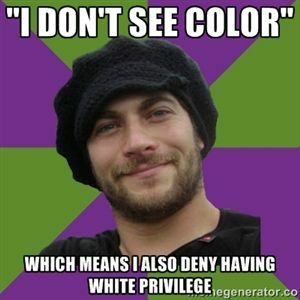 (1) National image of being colorblind, liberal and tolerant. Especially, the welfare states in North(west) of Europe it is common that the denial of racism is rooted in the national self-image of being liberal and tolerant. ‘How can we as nation be racist if we have a welfare state that support minority groups?’ And in the Dutch context: ‘we have legalized same-marriages and policies on legalizing soft drugs and prostitution?’ Despite these developments in particular legislations, it does not mean it will stop the unequal treatment, discrimination and segregation that still occurs in fields as education, labor market, law enforcement etc. Even if our education system is known to be an “open system”, and affordable, statistics show that children/students of color still end up in the lower levels of education. We are often confronted with the idea that “if you work hard, you will get there”, but the subtle ways of racism as micro-aggressions do not always successfully lead to the path to social mobility. It is the combination of the liberal image and the welfare state which makes acknowledging racism quite difficult. It is common that we have mixed feelings about the place we were born, grew up or live. We have lovely memories about our families, friends and opportunities, but at the same time we know that people of African descent do not have the same opportunities, even in the welfare state. (2) The racism is always well-intended. Europeans have interesting way to deny racism by hiding behind well intentions. However, well intentions are not equal to positive impact. These could be compliments that expose implicit racist ideas that you do not belong, you are not from ‘here’, racial stereotypes or lower expectations about what a person of color “should be understood”. Examples are: “wow, you speak great Italian, English, German, Dutch etc.”, “Where are you really from?”, or “becoming a nurse will fit you better”. Another interesting phenomena is that Europeans use political correctness as a way to further perpetuate racism or colonial structures. When racism is associated with pleasant feelings, joy and entertainment (to white people), they believe it cannot be racist. In Europe, we see this often in traditions and everyday blackfacing, in jokes in comedy, music and film. Often we are also confronted with responses as “I did not mean it like that”, or “I did not knew”, however that does not make it less racist. The “good” intentions of Europeans had a long history which can be further explored back into the colonial times as slavery and colonialism was “well-intended” too but had horrible impact on the people and their land and culture until this day. The dangerous dimension of “well-intended” racism is that in the process it moves the conversation back to the person that perpetuate racist and colonial ideas/practices and make them the ‘victim’ of racism. (3) The pointing finger game. European are good at pointing fingers in who is the even worse racist to draw the conversation away from the racism in their own country. However, by comparising the racisms around the world does not make it a safer place: no matter the amount of racism, it should be unacceptable everywhere. In the European pointing finger games, the favorites on their lists are the United States and (post-)apartheid South Africa, but in Europe, the United Kingdom also prevails. In this context, the strong denial of racism is found in the everyday language on race and racism, where the first reference is never the racism that happens in their country but always somewhere else. To me, this was always an interesting strategy to develop a cosmetic “anti-racist” way of speaking that goes hand in hand with the liberal and tolerant national self-image. Europeans are pointing out that other (European) countries are “more” racist, as a way to say that we are not the problem but they are. 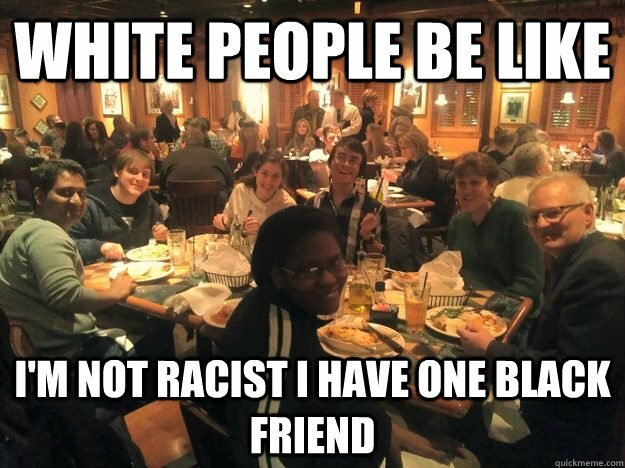 Europeans do not consider themselves racist, whether they are right-wing or liberal just because they said so, or they think they are “donating to Africa” or “helping marginalized children in ‘disadvantaged’ neighborhoods” or have a relationship with a Black person and/or have mixed heritage children. And I always wonder: so, if everyone is not racist, then where does the racism comes from?! (4) Racism is always associated with (extreme) right wing, nationalism or Nazism. In the process of denying that racism exist in Europe, another way of thinking is to perceive racism only in the context of (extreme) right wing political developments, nationalism or Nazism. 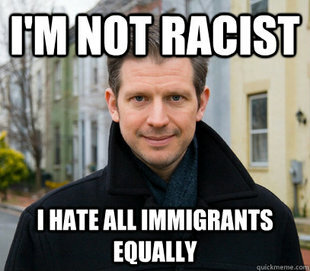 As a result, there is no eye for the structural and everyday racism that occurs in European countries, as these forms of racism are not considered to be racist. In this process there is an absent of language on race and racism, which leads to further doubting of our reality as Black people and people of color: was it racist or not? It the combination of the welfare state and absent of speaking about race in the everyday language which leads to no in-depth conversations on the existence of racism in European countries. 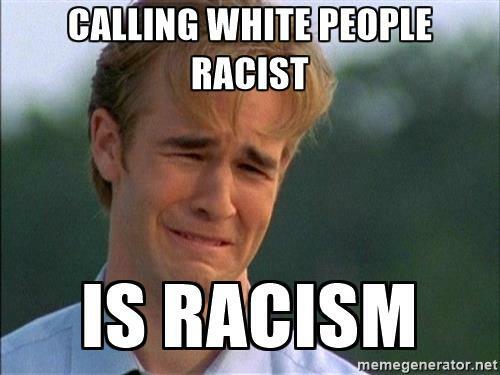 In common cases, you created the racism by just naming it or calling it out. Europeans think that racism will go away if you erase “race/racism” from the everyday language as not speaking about it, the racism will not exist. In particular, Europeans acknowledge the blatant forms of racism that are perpetuate by neo-Nazi groups, nationalist group and the extreme right wing but is lesser acknowledged when it comes to right wing parties that are on the rise in different European countries. This is a dangerous development as racist, xenophobic and Islamophobic policies has found its entrance on the national political levels without not much resistance from its citizens. It is not only the acceptance of these policies and fast-growing voting rates for (extreme) right political parties but also the normalizing of hate speech that is often misused as a way to “promote freedom of speech”. These recent developments show that not only subtle forms of racism are normalized but how blatant racism has found its way to national legislation. (5) The ungrateful other. When racism is brought up, Europeans respond with the classic mentality that people of color are ungrateful to the ‘benefits’ of the (welfare) state, or receiving a passport/place to stay. However, they expect us to be grateful despite the social-economic suffering, racial discrimination and unequal treatment that we endure in our countries. As … says: “So, we have to be grateful for the crumbs we receive after the benefits of colonialism?”. Data and statistics show that racial discrimination is an obstacle that still has impact on upward social mobility and social-economic positions. Beside the economic suffering, people of color still have to deal with racial profiling and police brutality by law enforcement, or racial stereotypes within the juridical system. Not only does racism occur, but the resistance against institutional racism is too often met with state and police violence. The wealth of Europe was built on the back of people of color during the colonial era, and are still gaining wealth by exploiting the Global South. As says, Africa is not poor. It is being exploited and robbed. As one can see, Europeans are quite slow in understanding that their history and power is intertwined with our present-day lives: we are here, because you where there. Many of us, or our parents/families/friends, fled from poverty, war and climate change that are created by the Europeans in our countries.